There's nothing more than I love a classic item with a twist. 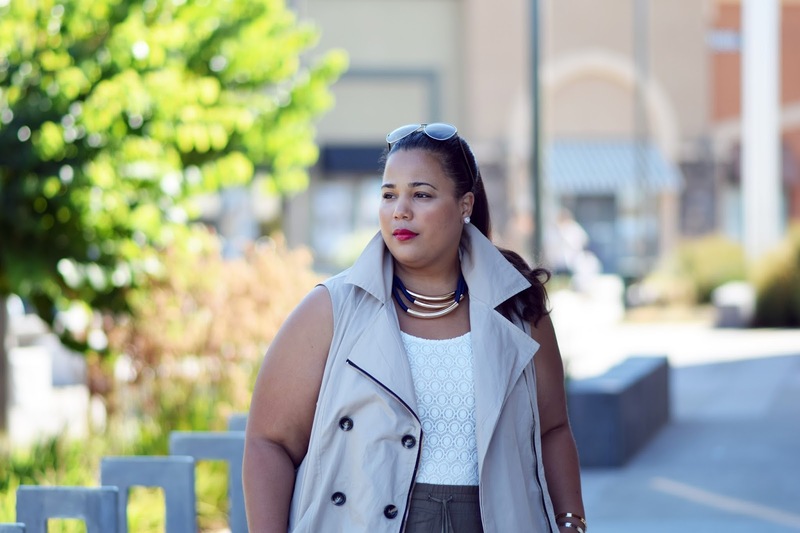 I've been looking for a sleeveless trench forever and finally found one. This was a weekend look that was super comfy, but still had that put together look. For me, pairing a couple of neutral tones together is a way to make an outfit look expensive, even if it isn't. I actually got these pants from Cato online (sold out) at $15. 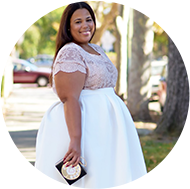 Get this look Budgetnista style: This was a budgetnista look for me, but I'd like to help you save even more on this look. You can get this look for under $70, top, bottom, and tank. You can find the pants here at Old Navy, 30% off with code GOODTIMES & free shipping which bring to pant to $26. Sub out my tank for this $10 Target tank. 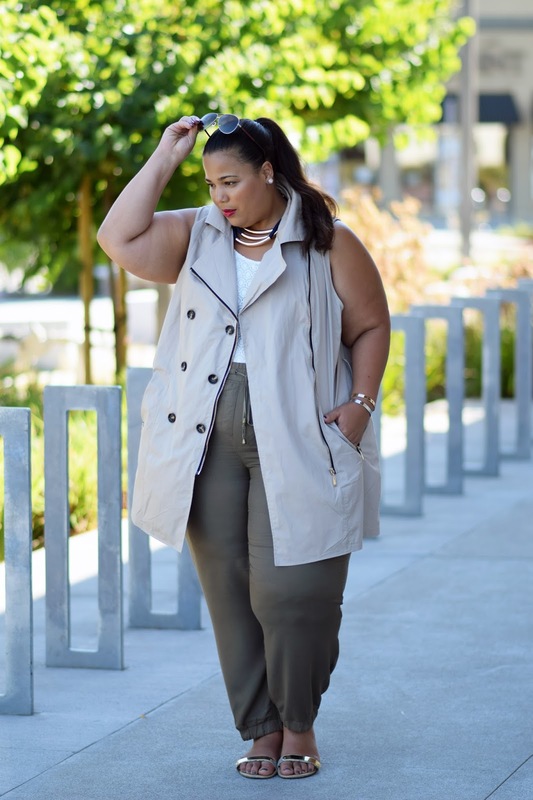 Finally, scoop up this sleeveless trench from Charlotte Russe that has 25% off the entire site today only which bring the jacket to $32. The entire look ends up being around $68 (minus shoes). 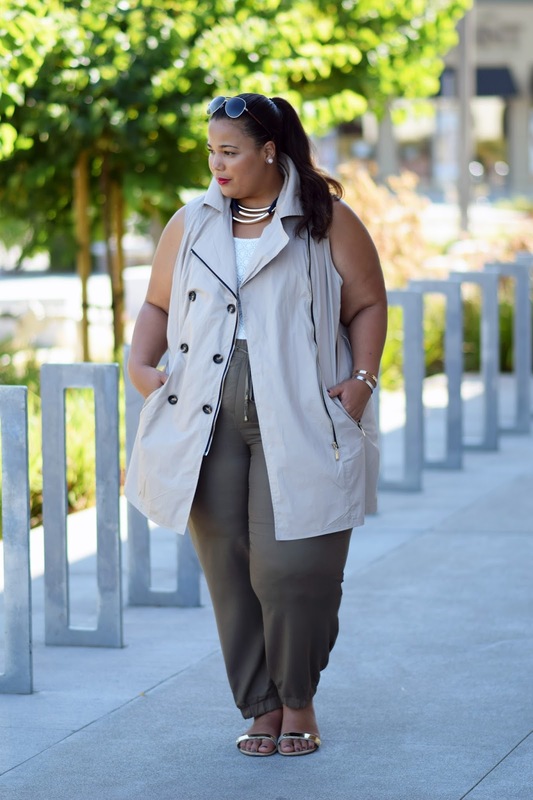 Style Notes: I got the trench in a 3x. Charlotte Russe has similar sizing to Forever21, so I always size up. You can coax the collar into staying up by just ironing it with light starch straight up and not creasing it.